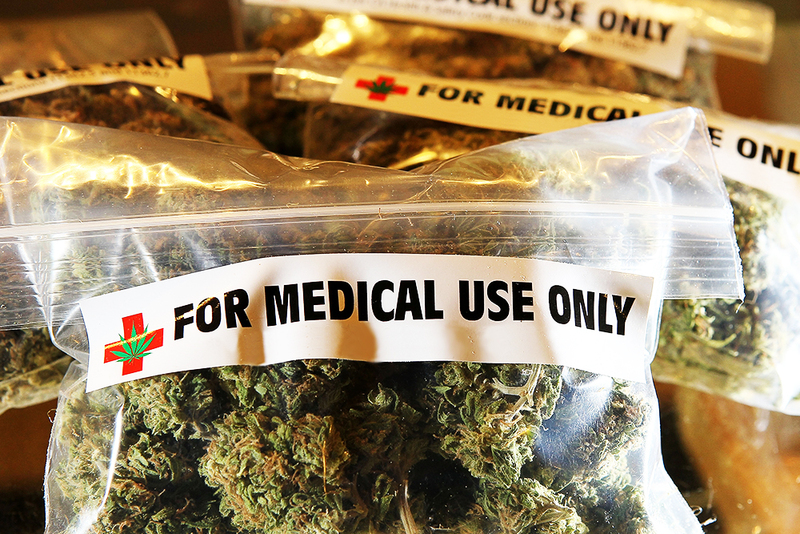 1 Comment on Medical Marijuana: An Oxymoron? Has public opinion trumped the rigors of the scientific method – clinically sound research that supports or negates the efficacy of marijuana for medical use? A recent issue of the Journal of the American Medical Association (JAMA) devoted two extensive clinical reviews, a research letter, an editorial and a patient page to topics related to medical marijuana. The reviews lay bare what is at the heart of the medical marijuana debate for the health care industry: Has public opinion trumped the rigors of the scientific method – clinically sound research that supports or negates the efficacy of marijuana for medical use? There are downstream effects of the legalization of medical marijuana that are not specifically related to efficacy or safety. On the legal side, they point out that legalization by 23 states and the District of Columbia does not trump federal prohibition – a point brought home by a recent Colorado case in which the court decision favored a “no tolerance” employer’s right to fire an employee for testing positive, even with the foreknowledge of the employee’s medical use. This decision has implications for physicians who might certify patients for medical use, liability carriers who might cover such physicians, and the more general issue of liability for harm referent to certified use. Q: Why do physicians “certify” rather than prescribe? Q: So how did states decide to legalize, and for what conditions? A: States relied on low-quality evidence, public opinion, testimonials and anecdote; the choice of conditions to cover was equally idiosyncratic, with contiguous states certifying disparate conditions with little scientific evidence. We should only hope the FDA never falls to these standards. A related concern is the lack of oversight and labeling accuracy. Not only is the makeup of marijuana very complex (>400 possibly active compounds including ~70 non-THC cannabinoids), but there are no dosing guidelines, product consistency, or demonstrated labeling accuracy. Vandrey et al. tested edible cannabis products from three large metropolitan areas and found that the majority failed to meet pharmaceutical labeling standards, with the amount of THC significantly overstated by more than half, understated by roughly a quarter, and some products having barely or undetectable levels. THC is not the only active, and presumably effective, cannabinoid. Another significant cannabinoid, CBD, is equally effective without intoxicating effects, with research suggesting an optimal THC:CBD ratio of 1:1. Only one of 75 tested edibles had this 1:1 ratio, and many did not label the CBD content at all. As with many unregulated supplements, it is hard to medically recommend products with no quality control. Such limited efficacy, with increased risk of short-term adverse effects, unknown effects of chronic use, and the more lasting deleterious effects on brain development (which continues through age 25) speaks to the need for more and better research before jumping on this bandwagon. The meat of the efficacy issue, however, lies in the rigorous clinical review and meta-analysis of the studies: randomized clinical trials of cannabinoids for chemotherapy-related nausea and vomiting, appetite stimulation in patients with HIV/AIDS, chronic pain, spasticity from MS or paraplegia, depression, anxiety, psychosis, sleep disorder, glaucoma or Tourette syndrome. Only chronic pain and spasticity were found to have moderate-quality evidence in support of cannabinoids. Such limited efficacy, with increased risk of short-term adverse effects, unknown effects of chronic use, and the more lasting deleterious effects on brain development (which continues through age 25) speaks to the need for more and better research before jumping on this bandwagon. Regardless of what side of the bench one stands in the medical marijuana debate, it is not in the interest of any of us to let the tide of public opinion undermine the value of the scientific method in determining what is, in fact, best. Opinion has no place in determining the health of our nation. Evidence does. If you were to read one concise, well-considered summary on this topic, I would recommend the editorial by D’Souza and Ranganathan. I agree wholeheartedly that it would be inappropriate for the FDA to classify marijuana as a substance which can be prescribed by medical professionals. However, marijuana should not be scheduled at all. People take all kinds of things and they’re called herbal supplements. When it comes to natural substances our society has not typically opted to control what people may consume as medicine. Certainly there are exceptions where they have been proven harmful, but marijuana has been proven less harmful than tobacco or alcohol. What the various states have done in creating ‘medical marijuana’ as a middle-ground between state-level legalization and prohibition is largely due to the fact that the federal government has inappropriately classified marijuana as a schedule IV controlled substance. Their solution is not by any means ideal, but is a reaction to the intolerable federal policy of preventing people from making decisions about their own health. These states are still requiring people obtain the advice and permission from their doctor, but unless your concern as a doctor yourself is liability for doctors it seems very strange to me that you would wish doctors to be unable to give their best medical opinion to their patients. I would agree that it isn’t ideal for patients to have to even do this much, they should be able to go down to the local health food store and buy one of those gigantic pill bottles full of marijuana the same way they can any number of other natural remedies. This is absolutely true, but it misses an important point. States relied on low-quality evidence because until June 2015 it was virtually impossible to receive federal funding for an FDA study. Finally I just want to mention that I find it a little bit troubling that a Mental Health and Substance Abuse company such as Beacon would opt to come out so strongly against the medical use of marijuana. I know for a fact that many of the psychiatrists in your network would prefer to prescribe (or, if you prefer, recommend) marijuana for some patients instead of SSRIs (because it has fewer side effects) or Benzodiazepines (because it is not addictive and because there are no known health risks even if an excessive recreational habit is developed). Marijuana isn’t right for every patient who might otherwise take an SSRI, but there are real side effects to SSRI which negatively impact the quality of life of many who take them. Does Beacon oppose medical marijuana this strongly based on any actual proof that it is harmful, or is it because Beacon sees marijuana as a threat to the growth of their industry which tolerates medication as a solution but is based largely on the complexity of maintaining a large network of social workers, psychologists and other counselors who provide counseling as a service.